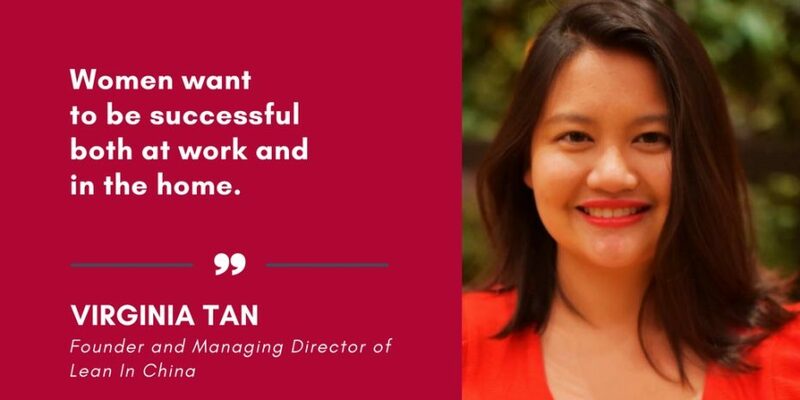 Virginia Tan is the co-founder and president of Lean In China, a women’s platform with over 100,000 members across more than 25 cities and 50 universities in China, which supports the goals and aspirations of Chinese women. She has spoken at UNICEF, Baidu, General Electric, Bloomberg, the British Council, Facebook, the Guanghua School of Management at Peking University, Tsinghua University, Singapore Management University, etc and has been filmed by BBC, Reuters, CCTV and Vice. 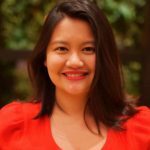 She co-founded Her Startup in 2015, the first cross border startup competition for women tech entrepreneurs as well as She Loves Tech in 2017, an international conference series focusing on technology by women and technology for women. She is also the founding partner of Teja Ventures, a venture capital fund targeting women-impact early stage ventures in Asia. Virginia’s background is in law and finance, where she was an experienced finance lawyer for more than 8 years specialising on energy, resources and infrastructure sectors in emerging markets, and has worked in Europe, Middle East, Asia, Africa and South America for 2 magic circle firms. She moved to Beijing in 2013 to work on strategic investments related to the “One Belt One Road” initiative on behalf of Chinese state owned companies and financial institutions. In May 2013, ten women from different professions in Beijing each inspired by Sheryl Sandberg’s book “Lean In” came together to establish China’s first Lean In community. The first goal was to incubate as many Lean In circles (a circle is a group of 6-8 women who meet frequently). However, there was a noticeable trend that many women wanted to join a circle, but most women were unwilling to lead – because they did not want the burden or responsibility of leading, or felt that they were incapable of leading. We needed to question what our assumed definition of leadership was and adjust that definition – that the modern leader is one who leads by way of service to others. The idea of the Lean In circle was to harness the power of women being together to inspire them each to achieve their goals and aspirations. The reason we feel so strongly about building communities across China for women to thrive is because this allows women to be connected to others facing similar challenges and issues, enabling them to mutually support each other. This removes the isolation felt by many women, and being a part of a supportive group, is an effective way to help women overcome the internal barriers. Older and more experienced women mentoring younger women inside and outside the workplace was also key. However, we noted that there was a lack of any real mentorship culture in Asia. 70.32% of women believe that career and family lives are equally important. The majority of women want to have it all – success in both their professional and personal lives. The White Paper notes, however, that factors such as age, marriage, and having children change the way women pursue their careers. After marriage and giving birth, Chinese women start to prioritize flexibility and job stability as opposed to challenging and interesting work. Interestingly, the White Paper also reveals that the top three definitions of success cited by women are “Health” (68.28%), “Marriage/family” (45.82%), and “Happiness/satisfaction” (40.73%), factors which are not directly related with professional success. When asked about the challenges they face in their professional lives, the majority of participants stated their top challenges as being “Work-life balance” (86.30%), “Occupational disruption caused by childbearing” (73.63%), and “Household responsibilities and support for partner” (70.42%). By contrast, only 35.90% of females believe “Lack of ability” to be a challenge to attaining professional success. 74.9% of Chinese women surveyed recognized that society needs more women leaders. Younger women were even more likely to hold such a view (79.33% of women born in the 90s compared to 66.15% of women born in the 70s). Among the women who took part in the survey, only 24.49% of women responded that the top leaders in their companies are women, but encouragingly, almost 50% of women are optimistic that they are able to achieve top leadership positions. Marriage, especially having children, greatly affected a woman’s view on their opportunities of promotion. The proportion of women who believe that, because of gender, they do not have the opportunity to advance to a senior management role is 41.18% for married women with children, twice the proportion of single women (20.40%). This may reflect the phenomenon of the “glass ceiling” encountered by women who are in or approaching middle-level managerial positions, which also tends to coincide with the age when they need to raise their children. Lean In China notes that most of the current solutions proposed by companies to close the gender gap in the workplace focus on work-related challenges, which relate to gender bias, lack of training, mentorship, opportunities, confidence. However, the White Paper shows that the top professional challenges cited by women are linked to the tensions balancing work with family obligations, as opposed to direct obstacles arising out of the workplace itself. Therefore, the key to enabling more women advance in the workplace and into leadership is fundamentally to help them address their challenges at home. Greater engagement with men in changing social attitudes is required to promote equitable sharing of familial and home responsibilities, such as through inviting male role models to champion women as well as encourage other men to support women in the home – a “He for She” initiative. The first step is building awareness and helping men understand more deeply the challenges that the women in their lives face in balancing work and life. Another crucial form of assistance includes employers as part of their corporate social responsibility agenda creating a more conducive environment, which facilitates the balancing of work and family as an intrinsic part of life, regardless of gender. This is possible through making more flexible work options available for both men and women (especially in the early years of childbearing), introducing longer paternity leave or by subsidizing childcare in some way. Schemes which have proven particularly popular among employees are policies, which allow working from home and provision of nursing facilities and subsidized early childcare educational facilities on-site.